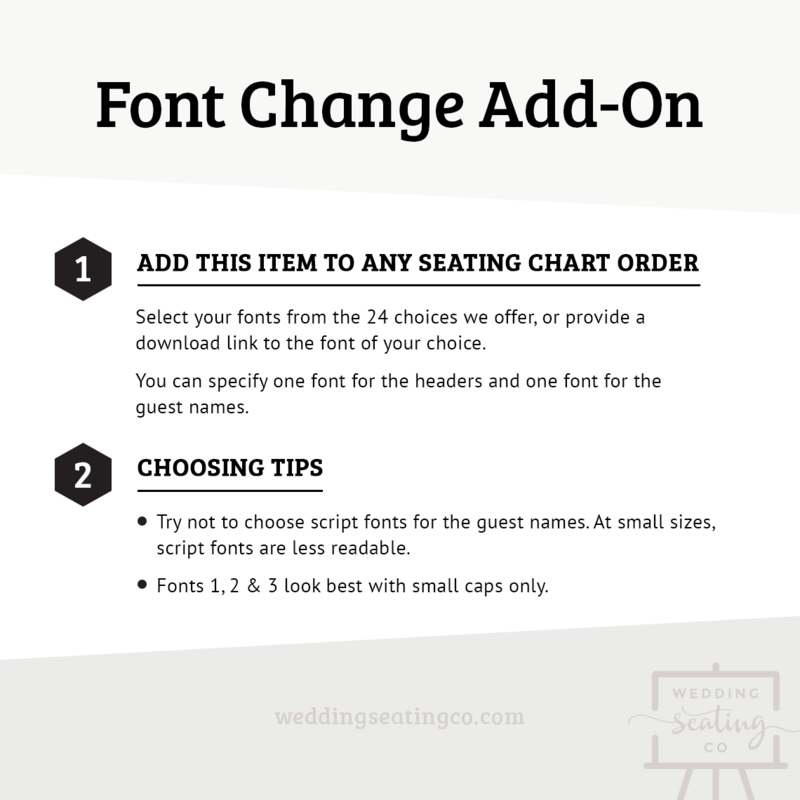 Graphic design services are available for different types of printable files to match the seating chart that you order. Files will be provided as high-quality JPG or PDF files. 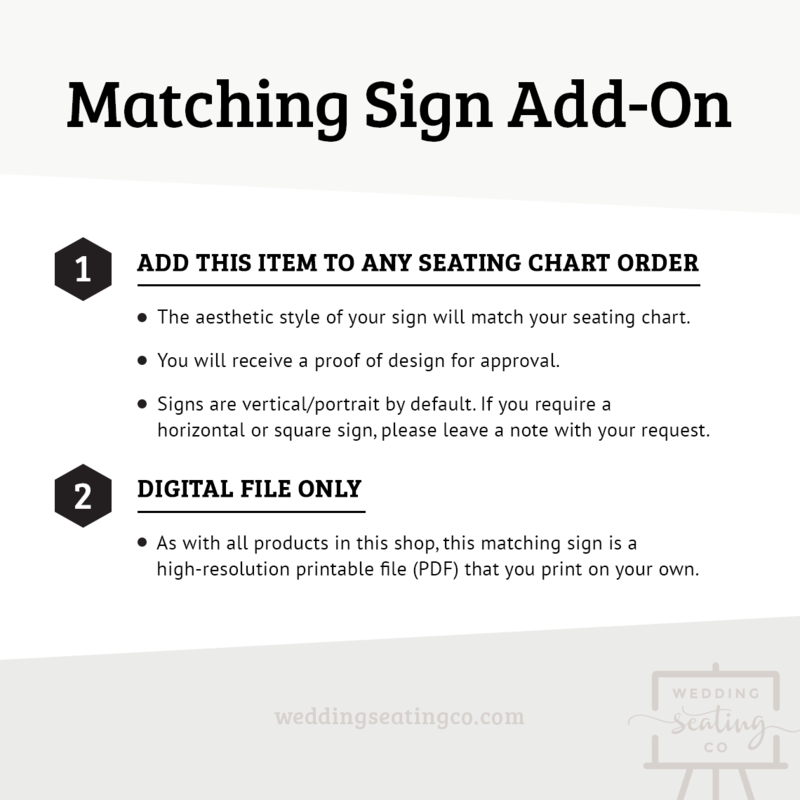 This item must be purchased in addition to a seating chart. 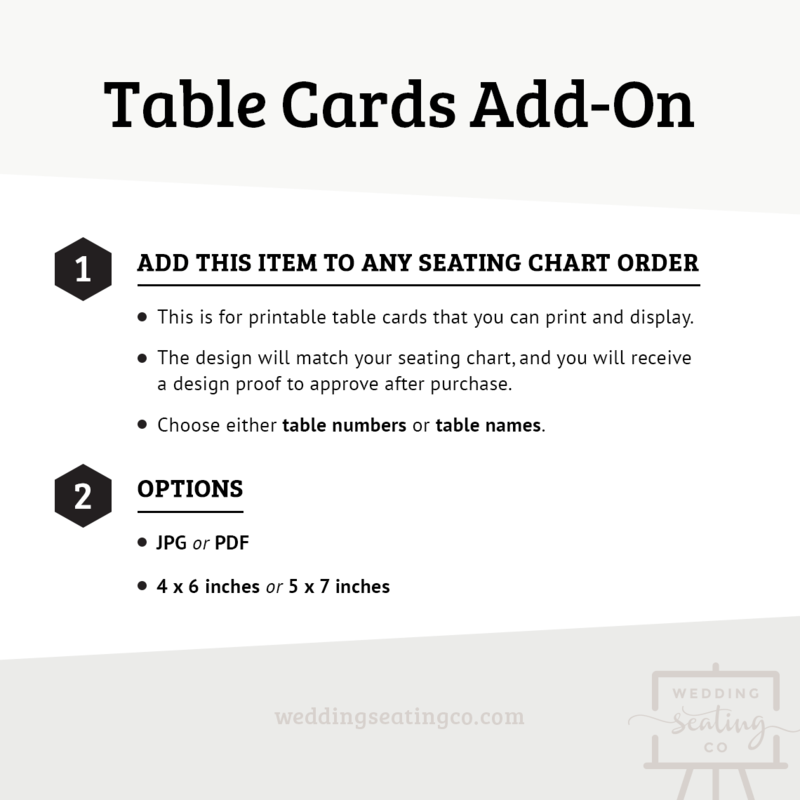 You will receive table cards in JPG or PDF format that are high-resolution and ready for you to print. 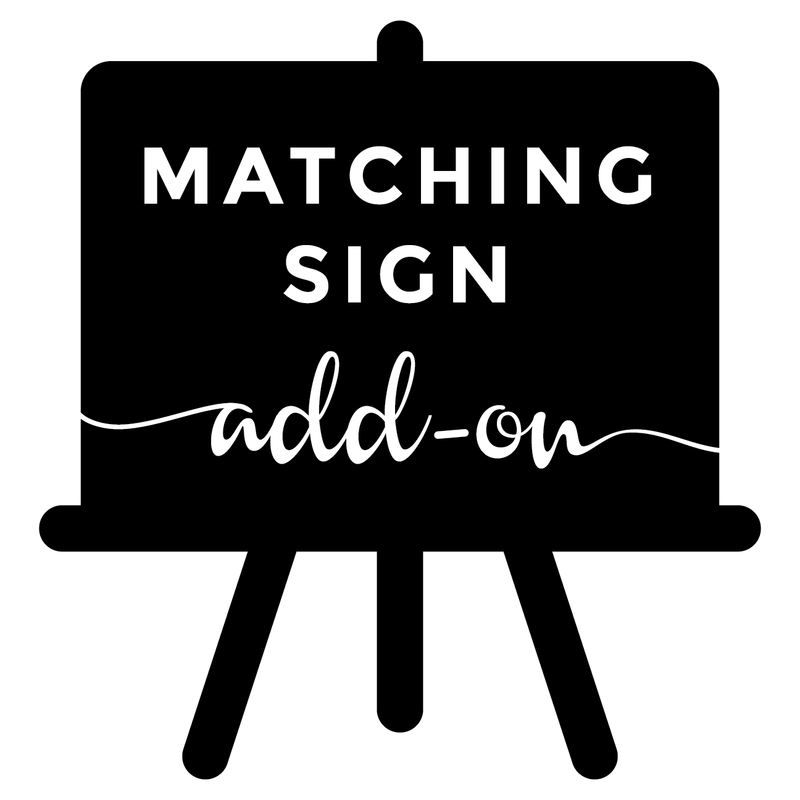 They will match the style of your seating chart. There is no limit to the number. For example, if you have 20 tables, just purchase 1 quantity of this add-on to receive 20 digital files.